The BCCI's technical committee, which included former players, Saurav Ganguly and Roger Binny — along with ‘special invitee’, Anil Kumble — recently recommended an overhaul of the Ranji Trophy, India’s premier first-class tournament. The Ranji Trophy had 27 teams divided into 2 Divisions; one called Elite with 15 teams and the other, the Plate, with 12 teams. The Elite league was split into two groups, one with 8 teams and the other with 7. The Plate league is split into two groups with 6 teams in each. A collection of teams from these groups then fight it out at the knock-out stage of the Ranji Trophy competition. The BCCI’s Technical Committee suggested an overhaul of the Ranji structure. They have recommended the scrapping of the Elite and Plate divisions and have suggested a rearrangement of the 27 teams into three groups of nine each. Ranji Trophy groups Group A: Rajasthan, Mumbai, Hyderabad, Madhya Pradesh, Saurashtra, Railways, Bengal, Punjab, Gujarat Group B: Tamil Nadu, Haryana, Maharashtra, Karnataka, Uttar Pradesh, Vidarbha, Delhi, Baroda, Odisha Group C: Himachal Pradesh, Kerala, Andhra Pradesh, Services, Tripura, Goa, Jharkhand, Jammu and Kashmir, Assam Several other changes have also been suggested which are mainly: Key changes *27 teams be divided into three groups, instead of two in the existing Ranji format *Each team gets to play a minimum of eight Ranji games *Knockout games to be five-day fixtures, with an extra day available to encourage result *Outright wins worth six points instead of five *Bowlers permitted to bowl two bouncers an over *One bowler permitted to bowl 12 overs in one-dayers Apart from this, Sourav Ganguly, the head of BCCI's technical committee, said there would also be an emphasis on producing good quality pitches. Anil Kumble, who was a special invitee to the meeting, said these changes would provide better structure to the Ranji Trophy. "Besides giving each team an equal number of matches home and away, this format brings in more competition as teams will have an equal chance of making it to the top two of their respective groups," Kumble told the BCCI's website. "We believe the home and away format gives that incentive for the state associations to organise four home matches in the centres they want. As the president of the Karnataka State Cricket Association it gives me the opportunity to take the game outside of Bangalore and develop it in the smaller centres." ================================================ But are these changes good enough to make our premiere domestic championship competitive enough to breed finished articles, cricketers ready to play test cricket? I'll say no. These changes are not enough and Akash Chopra agrees with me: LINK Step in the right direction, but long way to go: Aakash Chopra Bangalore, Tue, Jun 12 2012 , by Shashreek Roy In years gone by, India's premier domestic competition, the Ranji trophy has been exiled to an almost alien like existence by cricket followers. Stadiums hosting Ranji matches have been left looking deserted and people have made trips to watch a game, only as frequently as airplanes make trips over the 'Bermuda Triangle.' For quite some time now, it has been clear that the domestic circuit needs a revamp and some serious restructuring in order to bring back the interest it once commanded. Finally, the BCCI technical committee has taken a step forward in doing so, but is it enough? Aakash Chopra answers that question in the best possible way, "it is a step in the right direction, but I think we still have a long way to go." For any competition to be viable there must exist a purpose or an end result, fans and followers must need a clear winner or loser after watching cricket over a period of four or five days. If there is no result, there is going to be no interest. The Ranji trophy has been plagued by draws for a long time now, resulting in a huge drop in interest levels. Reasons for no results range from pitches to opponents and also depends quite heavily on the points system. The current restructuring though, aims at modifying all of the above and rests on the principle of deriving a result out of most games. A positive move has been the increment of points for an outright win, "now you get twice as much for an outright win as compared to a first innings lead and a bonus if you win by an innings or 10 wickets," says Aakash Chopra. An increase is motivating, but is points alone enough to motivate a player to toil hard for four days on placid pitches? The former Rajasthan skipper doesn't think so, "I would have made it a lot wider, say 8 points for an outright win, so that there is more of an incentive to go for a win. Also, I would have added monetary rewards, say 10 lakh for every outright win." Points aside, a major reason for most matches ending up in a stalemate, has been the poor quality of the pitches dished out for the domestic season. Clearly until now, the most important ingredient required for an enthralling game of cricket, has been given as much attention to, as the opinion of a toddler. Chopra believes that pitches have a widespread effect on Indian cricket in general, "quality of pitches is something that needs to be addressed because that is something of extreme importance in Indian cricket overall. The pitches that you make for the domestic set up plays a huge role in how we play our cricket overseas." Perhaps India's recent abysmal performances overseas stems from the way cricket is played in India and more importantly what it is played on. The big question that must be answered though is, will spectators finally get to watch matches with a result, owing to the new set of recommendations? Chopra paints a very realistic picture when he says, "it boils down to the pitches, if we fail to address that, and don't ensure that the pitches that domestic cricket is played on are sporting enough, then you would still see the same number of draws. You may have added one more point for an outright win, but it wont help unless the pitches are conducive enough." Apart from Ranji cricket, there are other sections of the domestic circuit that need attention. In an age where the ICC is trying to ensure that the 50 over format doesn't fade away in the battle between T20s and Tests, the BCCI too is trying to make changes to the domestic version of the same. The recommendation states that a bowler can now bowl a maximum of 12 overs, that though doesn't cut it for Aakash who says, "it is only 12 balls more of a good bowler, you can play him quietly and that's about it. My radical suggestion is that every bowler should be allowed to bowl 12 overs with the exception of two bowlers getting to bowl 13 overs. By doing that you will only need four quality bowlers to take care of 50 overs." The other concern, is a clear lack of synergy between the 50 over domestic format and the one played at the international level, as Chopra puts it, "the other issue with the 50 over format is that it is not in sync with what is happening at the international level. There you can only bowl 10 overs and can only have 4 fielders outside the circle in the non-powerplay overs and here you are allowed to have five." It is evident that the set of recommendations made by the BCCI technical committee is indeed a positive step forward, but it is also clear that they are just ones that resemble a crawl. Ranji and domestic cricket may still not turn out to be very attractive and results may still be rare. Perhaps what is needed is not just steps but a few giant leaps, something as radical and drastic as Chopra suggests. For now, there is hope of the Ranji format becoming more result oriented, but there certainly is a long way to go before hope turns into a guarantee. Chirag Khurana was a nervous wreck taking guard during his First-Class debut on November 17 last year. Gearing up to face India speedster Varun Aaron was a daunting prospect. Ã…Â®y mind was filled with a plethora of emotions. It was a miracle that I managed to stand up straight to face the ball, he says. The first ball from India speedster flew past KhuranaÃƒÃ” bat and in his words, Ã…Ã•he butterflies in his stomach renewed their charge? In the next over, Khurana stood up straight and smashed the ball through the covers for a boundary. He has not looked back since. Ã…Âµhat drive got me going. I met the ball in the middle of my bat and it was at that moment that I knew that I belonged to this level, he says. Khurana scored a sparkling century in debut for Maharashtra against Jharkhand and went on to pick three wickets to cap off a ÃÃ…ream debut? Khurana has had an unusually long initiation into First-Class cricket. The 19-year-old, who was born in Haryana moved to Pune with his Air Force officer father, travelled with the team for five years. Five years without playing a game would have dented a playerÃƒÃ” confidence and caused doubts to creep in, but Khurana says that the up-side of five years as a passenger was greater than all the doubts and the frustrations. Ã…Âª would be lying if I said I was not frustrated. At times I felt like I would never get my chance, but I just kept believing in myself and finally I did play an important part for the team, he says. Ã…Âª had observed my teammates in action for so long that I didnÃƒÃ• freeze when I finally got my chance. The right-hander scored 539 runs in the five First-Class games he played, at an impressive average of 59.88. In addition, he scalped 10 wickets, courtesy his handy off-breaks. KhuranaÃƒÃ” two centuries, the second of which came in the semi-finals against Tamil Nadu, was instrumental in helping his side post a competitive total. Khurana was recently feted by the Maharashtra Cricket Association as being the best senior player on the club circuit in the state. He says he is looking to add to this honour with a few more on the cricket field. He agrees the current season will be tough as they will be facing quality opposition from the first match, having made it out of the Plate division. On his game-plan, he said, Ã…Âª am a front foot player. However, I try and play too many shots right at the beginning of my innings. I am working on pacing my innings better and learning to play to my strengths. One thing that Khurana is desperate to do is to score more centuries this season. Ã…*ast year I scored two hundreds when I could have easily scored five, he says, Ã…Âª got into the 80s on two occasions, but I just threw it away. This season I want to kick on and score big. Virender Sehwag has been named the captain of Delhi's Ranji Trophy squad for the 2012-13 season according to report in the Deccan Herald. Gautam Gambhir has been named his deputy. Delhi begin their Ranji campaign against Uttar Pradesh on November 2. The Test series against England begins on November 15 and it is likely that the national players could be available for the opening Ranji match, in a bid to warm up before the Tests. ___________________________________________________________________________ Probables: Virender Sehwag (captain), Gautam Gambhir (vice-captain), Virat Kohli, Rajat Bhatia, Shikhar Dhawan, Mithun Manhas, Ashish Nehra, Ishant Sharma, Puneet Bisht, Unmukt Chand, Yogesh Nagar, Sumit Narwal, Pradeep Sangwan, Parvinder Awana, Mohit Sharma, Vikas Mishra, Pawan Suyal, Manoj Chauhan, Milind Kumar, Dhruv Shorey, Jagrit Anand, Vaibhav Rawal, Sunny Sehrawat, Kshitiz Sharma, Rishit Saini, Javed Khan, Parvesh Chikara, Manan Sharma, Varun Sood, Chetanya Nanda, Rahul Yadav, Shoaib Prasad, Vikram Dahiya, Shelly Shaurya, Vikas Tokas. Yeah, looks quite strong. BTW, these international cricketers rarely play Ranji matches so IMO they shouldn't be made Captain. Captain my foot .. ek match khelega ki nahi wo bhi doubt hai .. may be he will be the non-playing captain. so maybe its time that these two maybe have decided to step back from some of the international cricket? will sehwag step back from the ODIs and simply play in T20 and test cricket? Makes sense really to prolong a career play T20 IPL and internationals and also play test matches which are mostly now a days at home. both these players are 30 plus. Do they know something we don't. If Sehwag is going to be dropped from the India team to find form, it makes sense to make him the Ranji captain. Otherwise a pointless exercise. What about another Chirag who won Saurashtra some lost games, played some very good innings in lower order. I think he was in KKR squad after that. With Pujara not playing most of the games, he will make his FC debut this year. Agarkar to lead Mumbai in Ranji Trophy Ajit Agarkar, the fast bowler, has been appointed captain of Mumbai for the first four rounds of the 2012-13 Ranji Trophy More... Agarkar to lead Mumbai in Ranji Trophy ESPNcricinfo staff October 11, 2012 Ajit Agarkar, the fast bowler, has been appointed captain of Mumbai for their first four matches of the 2012-13 Ranji Trophy. In February this year, he was, for the first time in his 16-year career, officially named Mumbai captain, for the limited-overs Vijay Hazare Trophy. Agarkar takes over the first-class side from Wasim Jaffer, who stepped down in February. Agarkar's appointment as captain earlier in the year marked a turnaround in his relations between the Mumbai Cricket Association. In November 2011, Agarkar had left the team in Cuttack as he was disappointed at not being picked in the XI for a Ranji Trophy match against Orissa. He consequently withdrew from the squad for the entire Ranji season but reconciled his differences with the board in a meeting with Milind Rege, then Mumbai's chairman of selectors, Ratnakar Shetty, the then MCA vice-president, and Nitin Dalal, the MCA secretary, in February 2012. Mumbai, Oct 16 (PTI) Sachin Tendulkar and Zaheer Khan are all set to strengthen Mumbai in their Ranji Trophy opener against Railways at the Wankhede Stadium here in the first week of November. "Sachin and Zaheer are likely to play in Mumbai's Ranji Trophy opener at the Wankhede Stadium. They have expressed their interest to play in the game," said MCA's joint secretary Nitin Dalal today. expressed their interest' date=' not confirmed. Need to wait and watch[/quote'] I don't think Mumbai can deny when they express their interest. I don't think Mumbai can deny when they express their interest. Step in the right direction. Wonder what's up with guys like Sehwag and Gambhir who have scored zilch in the last 2 years and yet refuse to play domestic matches. The reason why he switched to Himachal Pradesh from Rajasthan: October 16, 2012 Posted by Aakash Chopra 14 hours, 16 minutes ago in Indian domestic cricket The cricketer's endless quest for honour After two seasons and two Ranji Trophy titles with Rajasthan, the honour was completely restoredÂ© K Sivaraman George Bernard Shaw once famously remarked that when he was young, he realised that nine out of ten things he did were failures. So he did ten times more work. Youth, they say, is the time to 'do' old age is the time to 'have' As a young sportsman, I too remember waking up at 4.30 am while half the world was still having forty winks. I would hit the road in bitter cold when most people were nicely tucked in warm blankets. Most of my cricketer friends would happily sacrifice the nice things their peers did for an extra hour of practice hoping that one day all that hard work would help us achieve glory. Such were my formative years too when most of my schoolmates were off for holidays with their folks or spent weekends with their relatives, I would be busy getting my batting grip sorted and stance balanced. Knowing the direction in which the ball was meant to be hit was far more important than knowing the direction in which one should head during summer vacations. The day I walked out to bat wearing an India jersey made every drop of sweat and sacrifice worth its while. 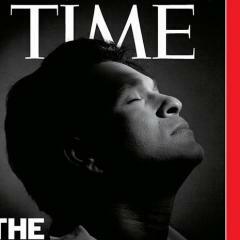 Life ceased to be the same after that day, for there were only 244 Indians who had achieved that before me. In a snap, from being a player fighting for a place in the state side, I became an important and somewhat indispensible member of almost every team I represented (below the national level) thereafter. It was no longer about checking the list of probables, the squad of fifteen or the final eleven, for my participation in most tournaments became guaranteed. That's how it is in Indian cricket once you don national colours, the view of the world changes 360 degrees. Things remained the same for the longest time. I continued to represent my home state, season after season, though not without scoring enough runs to justify my place in the XI. In hindsight, perhaps that assurance made me a wee bit insulated to the stark realities that many first-class cricketers face each season. The reality of being at a selector's mercy, the fear of being constantly unsure of participation, dwindling between doubts of 'whether/whether not'. It was time for me confront this 'parallel universe' where a player's career is always hanging by a thread. He doesn't believe he's made it in the team until he sees his name in the newspaper; a formal call from the officials is a far cry. I became 'them' when the 'wise men' in Delhi decided to drop me from the Ranji one-day side and broke the news to me through print the next morning. While I was appalled, shaken up and taken aback by this sudden development, it later brought to fore one of the most compelling reasons to continue to play cricket - honour. It was no longer about playing to win an honour, but to restore one. The insensitivity of my state coach, who was also a colleague not too long ago, and the selectors, who would always put an arm around my shoulder to discuss the future of upcoming talent in Delhi made me conscious of the workings of an apathetic system. Times had changed and I needed to, had to, wake up and smell the coffee. The easier option would have been to stick around and play in the longer format of the game till I was eased out of that too. The tougher option was to venture outside my comfort zone and tread uncharted waters. I chose the latter, and the rest, as they say, is history. In two years with Rajasthan I achieved more professional satisfaction than the 12 years spent in Delhi. 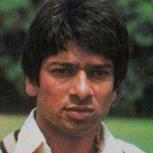 Winning the Ranji Trophy and fulfilling the role I was assigned has been second only to playing for the country. After two seasons and two Ranji titles, the honour was completely restored. So, why am I on the road once again? Have I fallen in love with this nomadic lifestyle? Or is it the lure of money that has forced me to ditch my old team? No, I don't like living out of a suitcase and away from my family for five months in a year. The older you get, the more you miss the comforts of your home. No, it isn't the money either, for God's been kind enough to provide enough work to keep me occupied and the fire burning in the kitchen. I'm on the road for the very thing that made me hit the road for the first time - honour, a sportsman's eternal quest. Last season Rajasthan did what Delhi did a couple of seasons ago, which was to not include me in the shorter formats of the game. While that was hardly a cause for concern - after all team selection isnÃƒÃ• my prerogative - the fact that the decision was delivered by the press was unacceptable. This clandestine, niggling affair between shoddy officials and the breaking-news media is an old one. It surprises no one that news of players being rested, their inclusion, exclusion, and a host of other internal administrative issues find their way to the morning newspapers. This time though, I wasn't alone in facing this predicament, for all three professionals - Hrishikesh Kanitkar and Rashmi Parida being the other two - were given the same treatment. Once again the easier option was to swallow pride and continue. The tougher option was to hit the road again and create another comfort zone. You know what I chose! I'm on the road again, quite literally, for it took me about 10 hours by road to reach Hamirpur in Himachal Pradesh from Delhi. Every morning it also takes an hour to reach the ground from the hotel we are staying in. The shift to a new team is never easy, for it takes a long time to bond and feel at home. But all this hardship goes out of the window when the ball hits the sweet spot of the willow. Roads in the mountains teach you a very important lesson in life - what seems like an end is very often just a bend. Seems like Unmukt isn't even first choice for his domestic team let alone the Indian team. :giggle: Mandeep will score well this Ranji and against England in warm up games. Dhawan' date=' Chand, Sehwag, Gambhir, Kohli, Bhatia, Bisht, Ishant, Awana, Mishra, Narwal/Suyal- the likely 11 for Delhi[/quote'] If Viru and Gauti will open for India they will open in the warm up. Lower level players like the Dhawan's and Chands may play the following games. If Viru and Gauti will open for India they will open in the warm up. Lower level players like the Dhawan's and Chands may play the following games. Your funny bro your funny. I just can't stop laughing at how funny that was. Chand is nowhere near Mandeep, this is a rare failure for him whereas Chand's FC average will tell you he fails more often than succeeds. He will recover. Class is permanent. Thing was he was not prepared. They trained in Bangalore (fast track) for NZ A and then played in NZ. He suddenly then had to play Duleep Trophy on a typical slow Indian track. He needed atleast another week to prepare. Now he has that time and in the Ranji, or if he plays against England in warm ups you will see a different Mandeep. The Mandeep that is naturally superior to other youngsters in batting. Menaria also failed and he was in a similar situation. Thing was he was not prepared. They trained in Bangalore (fast track) for NZ A and then played in NZ. He suddenly then had to play Duleep Trophy on a typical slow Indian track. He needed atleast another week to prepare. Now he has that time and in the Ranji' date= or if he plays against England in warm ups you will see a different Mandeep. The Mandeep that is naturally superior to other youngsters in batting. Menaria also failed and he was in a similar situation. Who's this guy with Sachin? And did pretty well on the Australian tour. Yeah..he was pretty decent in that tour. Oh.. Thanks! I could not recall his name. The Ranji Trophy, despite being India’s premier domestic cricket competition, usually doesn’t attract a lot of eyeballs, but it will be different when Hyderabad play Punjab in their 2012-13 season-opener. The match, starting on November 2 in Mohali, will have two big stars leading the respective teams – VVS Laxman and Harbhajan Singh. Laxman, who retired from international cricket on August 18, just before the start of the Test series against New Zealand, was named Hyderabad’s captain on Sunday (October 21). Harbhajan’s appointment as Punjab captain was made earlier this month, on October 4. At the time of announcing his retirement, Laxman had expressed a desire to continue playing for his state and contribute to Hyderabad cricket, adding that he would represent the team this season in a bid to realise his long-standing dream of winning the Ranji Trophy. Dwaraka Ravi Teja, who led Hyderabad last season, will be the vice-captain of the team, while Pragyan Ojha, who was a part of India’s playing XI during the New Zealand Test series at home, was also named in the squad for the game against Punjab. Sunil Joshi, the former India left-arm spinner who also retired from competitive cricket earlier this year, will continue as the team’s coach, while Noel David, who represented India in four One-Day Internationals in 1997, remains the fielding coach. Batting at 4, opening the bowling and Vice Captain! What a team though Yuvi, Bhaji, Kaul, Mandy, Rahul, Sandeep. Shame most of these will play tests for India. Should still cruise to Ranji title though.